Returned from Mauritius in time to be whacked with an ice storm. Hard to be aggravated when it's so pretty. 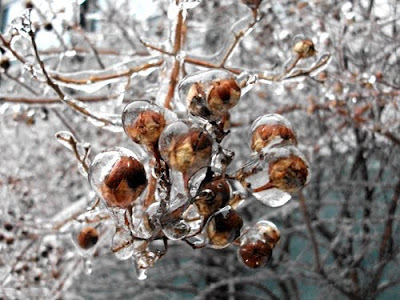 Above are crepe myrtle berries encased in ice. 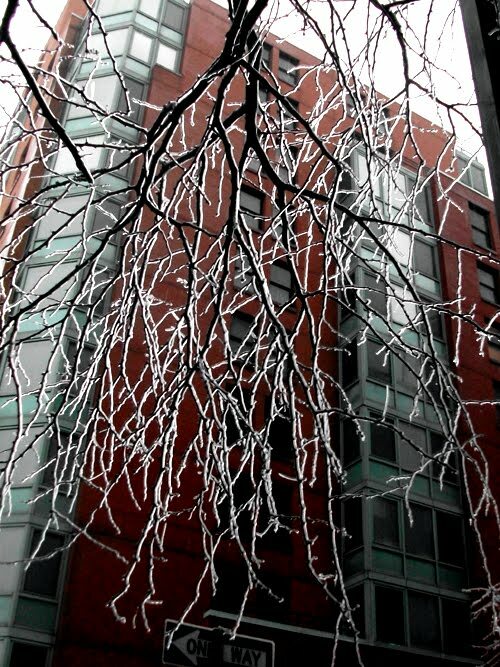 Below is an ice sculpture by Mr. Bromeliad. He leans toward giant luminaries but recently received a "bourbon ball" ice tray from the good people at Maker's Mark, which has greatly expanded his repertoire. Of all the thousands of people who received one, I'm sure none have enjoyed it more than Mr. B.
Bless Mr B. I wish I could invite him to my parties. 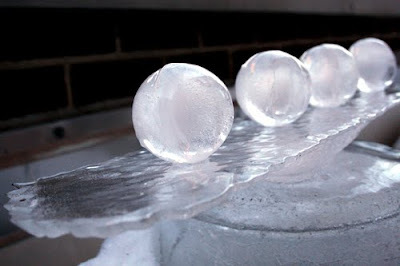 I love the modern ice sculpture. That is SO cool! 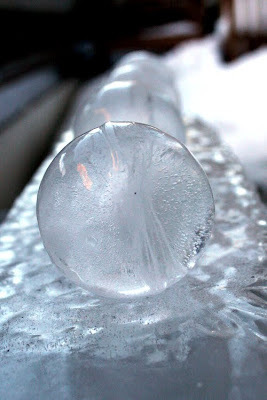 I dont know about you but Im about fed up with the cold weather! Very pretty photos and Mr B's ice sculpture is incredible!